In the light of the results of a nationwide social study on child homelessness the USA appear like a Third World country. Last year, approximately 2.5 million children, which corresponds to one out of 30 children, experienced homelessness in the United States of America. The statistics based on figures from 2013 as well as the research of route causes have been carried out by American Institutes for Research, and have been released with the report „America’s Youngest Outcasts“. Compared to the previous year 2012 the study depicts even the increase of homelessness by 8% on a national scale. 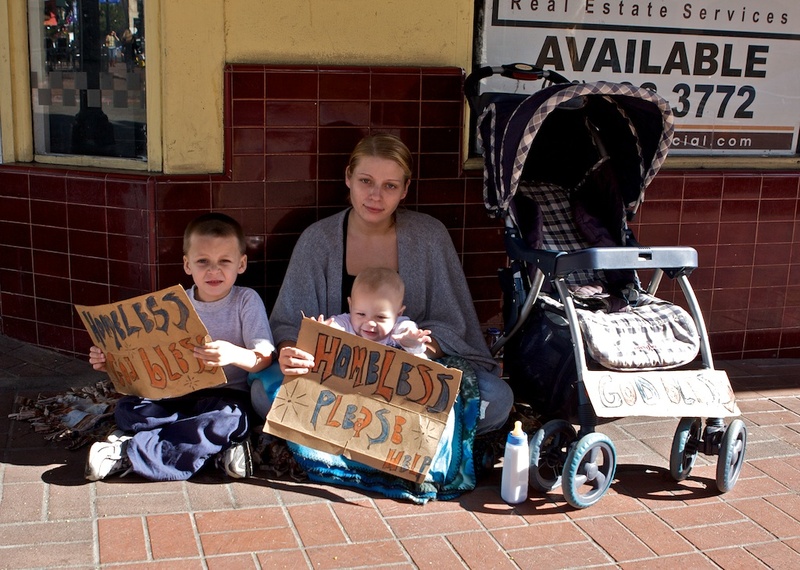 Major causes of homelessness for children in the U.S. include: the nation’s high poverty rate; lack of affordable housing across the nation; continuing impacts of the Great Recession; racial disparities; the challenges of single parenting; and the ways in which traumatic experiences, especially domestic violence, precede and prolong homelessness for families. „Without decisive action and the allocation of sufficient resources“, the authors say, „the nation will fail to reach the stated federal goal of ending family homelessness by 2020, and child homelessness may result in a permanent Third World in America“.